Callawassie Island ~ Emplacement parfait ~ Golf gratuit et tennis inclus! Immaculée, spacieuse villa de 3 BR et 2 bains sur le terrain de golf avec des vues impressionnantes. Nous vous invitons à profiter de vos vacances dans notre villa confortable, située sur le terrain de golf 27 trous de Tom Fazio sur la magnifique île de Callawassie. Emballez simplement vos clubs, raquettes de tennis, poteaux de pêche, kayaks, maillots de bain ou chaussures de marche et découvrez notre incroyable île! Profitez de trois chambres et deux salles de bain complètes, une cuisine entièrement équipée, une salle à manger, un salon, un porche et une terrasse donnant sur la 9ème voie. Callawassie Island est proche de Beaufort, Bluffton et Hilton Head, mais totalement privé dans notre communauté fermée. Les activités de plein air abondent ou tout simplement se détendent sur le porche ou le pont extérieur donnant sur le parcours de golf. Les vacances sont tout ce que vous faites, et Callawassie Island est le meilleur endroit pour créer des souvenirs. Golf illimité et chariot inclus avec notre propriété de vacances, pour deux invités désignés. C'est le secret le mieux gardé dans le pays bas. Seulement un court trajet en voiture à de nombreux sites historiques et villes dont Beaufort, Charleston et Savannah. Nous répondrons avec plaisir à toutes les questions que vous pourriez avoir, contactez-nous pour toute question. Vous aimerez tout ce que notre adhésion au Club Island a à vous offrir. Tenue décontractée affaires @ Club House - silence téléphones portables et gentleman enlever les chapeaux. Pas de motos autorisées sur l'île. REMARQUE: Le terrain de golf est fermé pour l'aération du 6-3-19 au 6-19-19 et du 8-5-19 au 8-9-19. I rented this for my brother and his family and they never wanted to leave! Every room was perfect and the view that they woke to was absolutely beautiful! This three bedroom Villa was perfect for them to gather, relax and enjoy each other and Callawassie. Beautiful setting and very comfortable and well furnished villa. The villa was nicely arranged and decorated. It sits on the golf course but at the end of a private cul de sac with beautiful oak trees providing shade. There is an outside back porch facing the course and also a screened porch as well. The kitchen was very well equipped and there was plenty of towels in the baths. Most all rooms had ceiling fans which helped keep us cool. The AC unit worked well and was easy to adjust. All appliances were updated and in great working order. The entire property was beautiful and very scenic. Overall, we were extremely pleased with our stay and highly recommend both this unit and the general location. We are pleased you and your family enjoyed your time with us and appreciated beautiful Callawassie Island. My family and I stayed at the Donnelly Vacation Rental on Callawassie Island in South Carolina this summer. The rental property was on a beautiful golf course in a gated community. The rental was clean and welcoming with a cozy decor. The kitchen was equipped with all the amenities you would need to make breakfast, lunch or dinner for a family. The rental had three large beautifully decorated bedrooms and two bathrooms. Mary was wonderful! She provided all the necessary paperwork and details we needed for a fantastic stay. She even encouraged us to indulge in the gorgeous sunset down by the pier. My family and I had a lovely stay and would recommend this property to anyone interested in a relaxing stay on Callawassie Island. We rented this amazing Villa for a long weekend/birthday celebration! Mary was wonderful for the very first inquiry! The villa is even better in person than it is in picture. You have everything you need here. The other owners/guest were lovely and very inviting. We enjoyed lots of golf, the pool and the fitness center! We had 3 couples and plenty of space!!!! I highly recommend staying here - so relaxing! Thanks again for your wonderful hospitality and sharing your beautiful place with us! Tami - So happy you selected Callawassie Island for your birthday celebration venue! We love being a part of this awesome community, and are always excited to share our slice of paradise with our guests. You know...we await your return! We stayed for a long weekend in July and everything was described. Mary was so helpful . Great community. I highly recommend staying here! Callawassie Island was lovely. The Donnelly’s villa was quaint and had everything we needed. The location was perfect. Golfing was great. Staff was friendly. Close to Beaufort and Bluffton. We enjoyed our brief stay and look forward to returning to see the new clubhouse/pool on the river. The Donnelly’s were wonderful to work with while searching VRBO rentals. They answered any questions immediately. A pleasure indeed. Thank you for choosing to stay with us at 8 Heron Walk on beautiful Callawassie Island. You’re welcome back anytime your schedule permits! 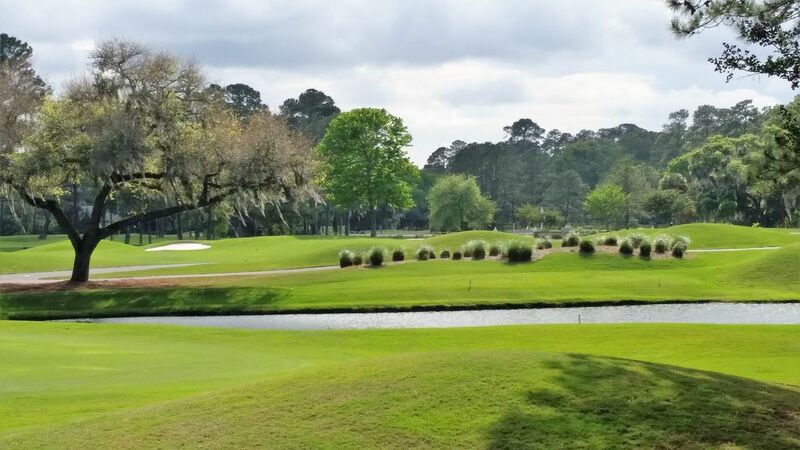 Also, thanks for mentioning our new River Club Facility/Restaurant, pool and recreation area, overlooking the Colleton River; it’s a most beautiful place for all to enjoy! Île Callawassie est à la maison à un 27 trous Tom Fazio Masterpiece Golf Course, Six courts Har-Tru tennis, Pro shop, salle de gym et un studio d'aérobique, deux piscines, les quais en eau profonde pour le canotage, le kayak, la pêche et la pêche au crabe. Les lagunes pittoresques, les magnolia et les chênes vivants, l'habitat certifié de la vie sauvage ... Pas besoin de quitter l'île!